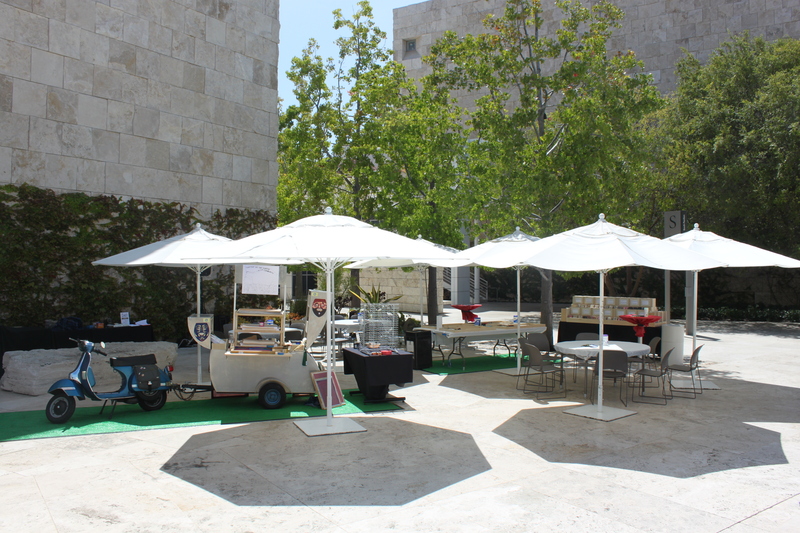 A HUGE Thank You to everyone who stopped by and participated in our MAP installations at the Getty Museum and Getty Villa! We will be posting more pictures soon! Visit Mobile Arts Platform (MAP) at their pop-up screen-printing cart, a participatory social sculpture inspired by the classic teardrop trailer and pulled behind a vintage Vespa scooter. Join the artists as they create free, interactive posters in conjunction with the exhibition The Scandalous Art of James Ensor. This is a free, drop-in program. Please stop by the Torrance Art Museum and check our latest version of the MAP Mobile Screen Printing Backpack which is included in the exhibition The Watchmen. In this piece we are walking through Los Angeles and setting up four pop up interactions throughout the city exploring the relationship the public has with surveillance cameras installed in their communities. The hike will be happening before the show on May 31st – June 1st, for more information on where the project is happening and how you can participate please visit this online interactive map created for this project by Bay Area web designers Nico Crisafulli and Brian Kahler. Documentation of the hike and further interactions through the piece will be ongoing through the course of the exhibition. WATCHMEN – This exhibition examines the relationship between the notion of the Flaneur and the City derive under the pressure of being watched via CCTV cameras and monitoring. How does one engage with the disinterested observations of the wandering eye when self-consciousness about being both the observer and the observed interfere with the experience? The Torrance Art Museum is a program of the Cultural Sercices Division of the City of Torrance Community Services Department. go to www.TorranceCA.Gov or call 310.328.5310. From 11 a.m. – 5 p.m. If your down in San Jose this weekend for Zero1 please check out the LAST Festival! I have a new robotic drawing machine installed that will be running both nights. Experience the LAST (Life, Art, Science, and Technology) Festival on June 6th & 7th. LAST, organized by Piero Scaruffi and produced by Adam Carlin and Erich Richter, is a weekend-long event featuring interactive multimedia art installations and inspiring talks by luminaries on cutting-edge technology and science. Meet the artists and interact with 16 art installations on Friday and Saturday night from 6pm-11pm, and join visionary speakers Saturday afternoon from 1pm-6pm for an interactive discussion focused on the disciplines that will change the world in the near future. Learn more about participating artists and speakers here. RSVP today to save your seat! All events are free and open to the public. The LAST Festival will take place during San Jose’s South First Fridays and SubZERO weekend. Check out the other participating venues and exhibitions here!